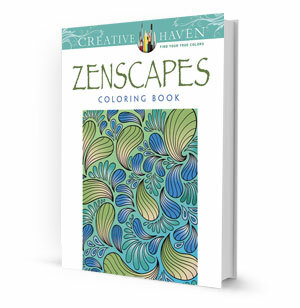 The meditative state associated with Zen philosophy inspired the creation of this adult coloring book. More than 30 pages of repetitive images feature graceful, sinuous lines and swirling circular motifs that create a peaceful coloring experience. Pages are perforated and printed on one side only for easy removal and display. Includes 31 elegant designs with swirling, undulating images that will invite you into a world of Zen. Also providing meditative thoughts and calming patterns.